– Sponsored News – There’s no stopping the aging process, but there are options for those who want to look and feel younger. One trend that is gaining popularity as an alternative to plastic surgery is cosmetic dentistry, according to the American Academy of Cosmetic Dentistry (AACD). Experts say that with age, faces can shorten, chins can move back, cheeks hollow and wrinkles stand out. These changes can be at least partially abated by taking a seat in your dentist’s chair. “When the teeth are in the right position, they fill out the volume (of the face). You see more teeth, resulting in a more youthful appearance,” Nicholas Davis, DDS, and past president of the AACD told the Wall Street Journal in an interview. In addition to taking years off of your appearance, you get an added boost of confidence in being able to smile without inhibition. 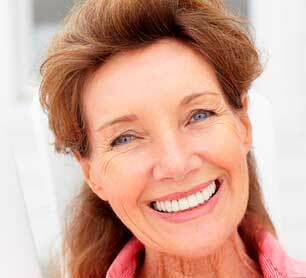 The following tips from the AACD can help you look and feel younger: * Contour or reshape your teeth. Look younger by correcting minor imperfections in your teeth. Simply polishing the worn edges and sharp angles of your teeth, they appear more aligned and symmetrical, and you appear younger. Porcelain veneers and crowns can restore and enhance a tooth’s original structure, and bonding can conceal gaps, chips and stains to give the appearance of more attractive and youthful teeth. * Whiten your teeth. A youthful smile is a healthful, white smile. Teeth become discolored over time from drinking, smoking and neglect. Whitening your teeth can belie years of abuse. A word of advice, however: Don’t overdo it. Cosmetic dentists are trained to select the appropriate natural shade that suits you. Once teeth are whitened, avoid drinks such as grape juice, red wine, tea and coffee, which stain teeth, and definitely refrain from smoking. * Replace silver mercury amalgam fillings. For the same reason that tooth decay looks bad, black mercury fillings show your age as well. Black silver mercury amalgam, which has been used for decades to repair cavities, expands and contracts, causing tiny cracks in teeth that can be a concern over time. Replacing that material with a new tooth-colored composite resin filling may both alleviate any further breakdown of the teeth and brighten your smile. For more information, visit www.YourSmileBecomesYou.com. Next articleHandypixel portfolio website is live, check this out!